The online version of this article ( https://doi.org/10.1186/s13071-019-3432-9) contains supplementary material, which is available to authorized users. In areas where Culicoides are abundant they may constitute a biting nuisance to humans, domestic and wild animals [2, 4, 5, 6, 7]. Their bites are sometimes associated with allergic skin reactions which in some individuals may result in urticaria. Culicoides are diverse in terms of both affected species and the pathogens they transmit. They are involved in the transmission of animal and human viruses as well as animal and human filariae . It is well documented that most Culicoides species have a crepuscular periodicity, peaking at dusk and dawn [7, 23]. Moreover, crepuscular periodicity can be influenced by nocturnal temperatures and it is suggested that seasonal shifts in the periodicity can occur [24, 25, 26]. In this study, C. grahamii was dominant in morning, evening and overnight collections whilst C. milnei was mainly collected during overnight collections (Additional file 1: Table S8). These findings confirm those of Hopkins  that indicated C. milnei is essentially a nocturnal species. However, our results differ with regard to C. grahamii since they found it to be only a diurnal species but here, this species surpassed all others in all the collection techniques used both during the day and night, except with the drop trap where C. milnei-dominated. Our studies concur with the observations of Vattier-Bernard and colleagues  that C. grahamii has a high biting rate in the early morning and evening hours although in that study there were no overnight collections. 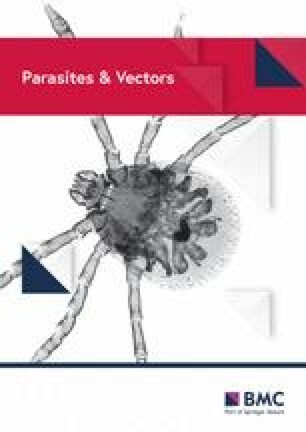 Vector competence refers to the ability of arthropods to acquire, maintain, and transmit pathogenic agents . For example, besides the transmission of filarial parasites, studies in Tunisia, South Africa, Senegal and Nigeria reported that Culicoides spp. are able to transmit viruses [33, 34, 35, 36]. However, to our knowledge, until now there have been no reports of transmission of viruses from Culicoides spp. in Cameroon. In regard to filariae, upon dissection of the engorged specimens, C. milnei was the most competent at permitting the development of the infective larval stages from the ingested microfilariae. From 807 fed C. milnei, 333 (41.3%) flies were found to harbor M. perstans infective larvae, compared to 5 (2.6%) out of 194 fed C. grahamii. In 1952, Hopkins  did not find any developing larvae of M. perstans in 1500 engorged C. grahamii. Hopkins & Nicholas  also engorged 418 C. grahamii on an M. perstans donor but found only two flies with infective stage larvae upon dissection. The current data supports those earlier findings since we found only a few infective larvae in C. grahamii that had fed on the M. perstans donors. Therefore, although the larvae are yet to be confirmed molecularly, C. grahamii seems to be an inefficient vector of M. perstans infections. Our study therefore confirms the works of Sharp [9, 10] and Hopkins & Nicholas  who first made an association between A. perstans and the possible vectors. The results of the present study confirm that C. grahamii is a poorly competent vector of M. perstans while C. milnei is a highly competent vector of M. perstans . This confirmation on the potential role of C. milnei in the development of M. perstans, six decades after the first observation by Hopkins & Nicholas , has several implications, with the first being the possibility of carrying out surveys on the transmission of M. perstans targeting C. milnei as the major vector. However, before such programmes can begin, it is important to confirm the observations made here in South-West Cameroon with other bioecological zones of Cameroon. One impediment for the study of transmission of M. perstans remains the tedious microscopic dissection of Culicoides. Future studies including PCR identification/confirmation of the M. perstans vector would constitute a major step for the transmission survey of mansonellosis. Another important finding of this study is that the major potential vector of M. perstans, C. milnei, is a nocturnal species. 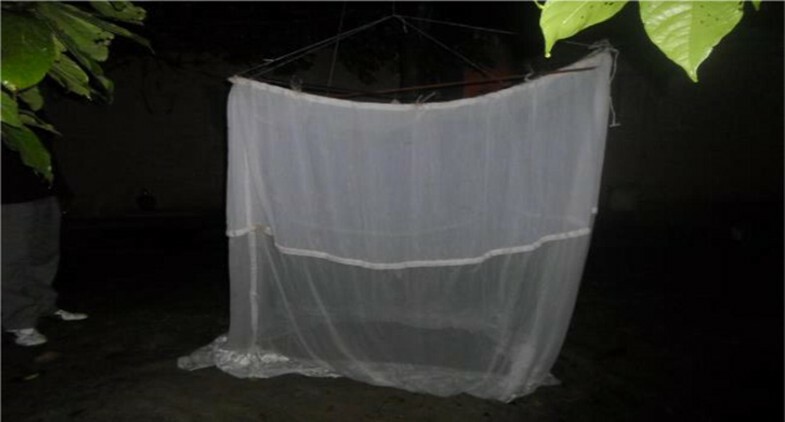 It is known from other filariae that parasitize humans that the abundance of blood-dwelling microfilariae correlates with whether the vector bites during the day (Loa loa, ) or night (Wuchereria bancrofti, ). Mansonella perstans is considered a diurnal species meaning that microfilariae are potentially circulating during day and night [40, 41]. 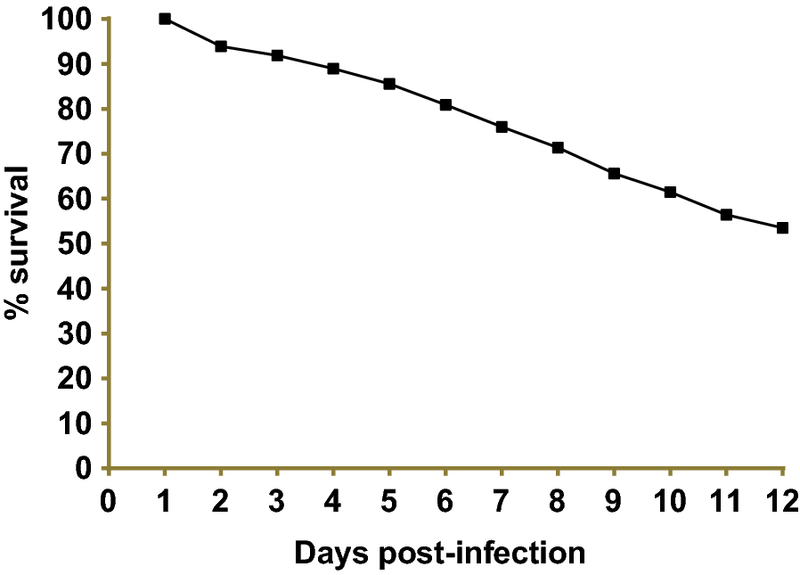 The biting behavior of C. milnei, as observed in this study, contradicts the possible diurnal periodicity of M. perstans microfilariae since they appeared more abundantly in the peripheral blood during the day. Indeed, in a recent survey for lymphatic filariasis carried out in 31 health districts in the forested area of Cameroon, where we collected blood from the same individuals during the day and night, we observed that the microfilarial load of M. perstans was systematically higher during night than during day collection (unpublished data). This apparently contradictory information calls for further studies to clarify the periodicity of microfilariae of M. perstans in the peripheral blood in humans and correlate it with the biting behaviors of the Culicoides vectors. Such clarification would be necessary to know which is the most convenient period (day or night) for new epidemiological surveys of mansonellosis. Additional file 1: Table S1. Survival of Culicoides species engorged in human volunteer in the laboratory rearing condition over a 12-day period (see Fig. 3). Table S2. Overall UV-light trap visiting cycle of Culicoides spp. of the South-West region (see Fig. 4). Table S3. UV-light trap visiting cycle of Culicoides spp. in Bikoki collection point in the South-West region of Cameroon (see Fig. 5). Table S4. UV-light trap visiting cycle of Culicoides spp. in Ebam collection point in the South-West region of Cameroon (see Fig. 5). Table S5. UV-light trap visiting cycle of Culicoides spp. in Mbule collection point in the South-West region of Cameroon (see Fig. 5). Table S6. UV-light trap visiting cycle of Culicoides spp. in Ediki collection point in the South-West region of Cameroon (see Fig. 5). Table S7. UV-light trap visiting cycle of Culicoides spp. in Ogurang collection point in the South-West region of Cameroon (see Fig. 5). Table S8. 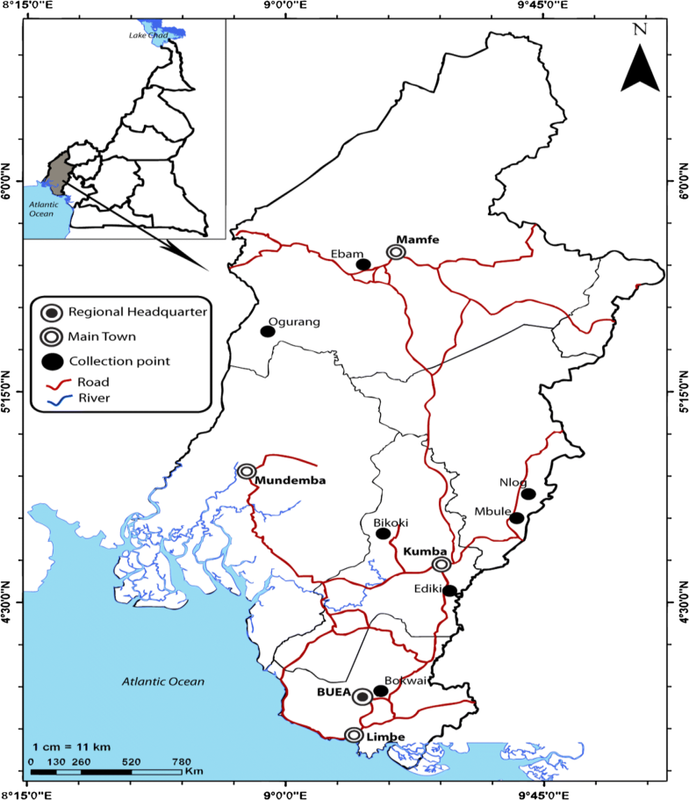 Human landing catches of Culicoides species in Ediki collection point in the South-West region of Cameroon.